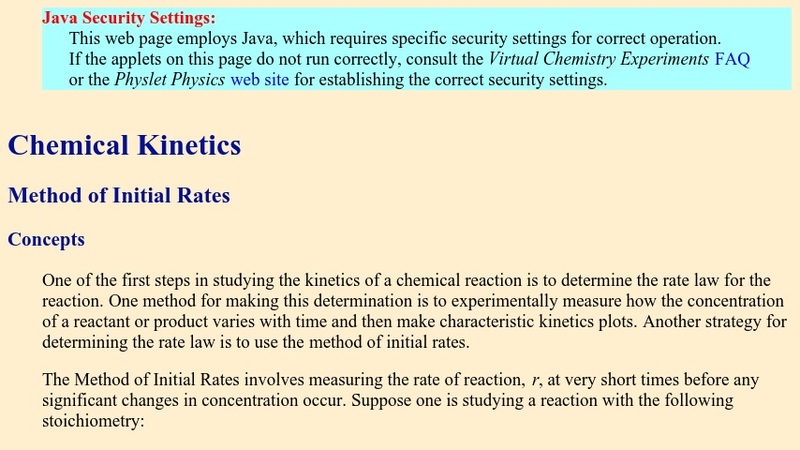 This site offers an interactive tutorial to assist in the understanding of how the Method of Initial Rates is employed to determine rate constants for chemical reactions. The student runs a series of experiments to create graphical data that is analyzed. This tutorial is coupled to others to further guide the student to a better understanding of chemical kinetics.